Emergency medical services have to face many different situations, like drunken bystanders who can reveal a real danger. The #AMBULANCE! community started in 2016 analyzing some cases. This is a #Crimefriday story to learn better how to save your body, your team and your ambulance from a "bad day in the office"! It is not uncommon finding drunk bystanders in case of an incident, especially during the night. In today’s story, our protagonist has to face in particular one bystander that tries to assault him and his team during an out-of-hospital cardiac arrest treatment. In 2016, he’s a first-year nursing student at the Insitute of Technical Education here in Singapore. 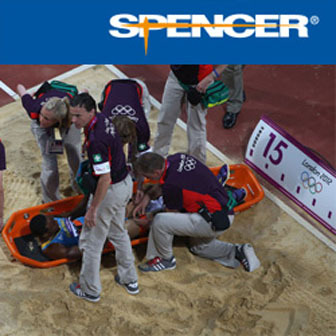 He has worked part-time in event companies and organizations to provide first aid coverage. He is also part of the *National Disaster Response Team, having received basic training. He has recently completed his clinical posting at a local general hospital. In Singapore, there is minimal to no violence. However, external and internal threats such as radicalism and terrorism have surfaced over the past few years, with the most recent one being the arresting of 6 terror suspects in Batam over a plot to fire rockets from Batam to Marina Bay. He is part of a team of volunteers, that do first aid coverage on a volunteer basis usually during weekends and public holidays with the exception of some national events depending on the deployment dates provided by the community services department in Singapore Red Cross. They’re equipped with access to ambulances or an equivalent should they require the evacuation of a casualty. Their standard attire includes our organization’s shirt and long pants with covered shoes. Out in the field, we have radios to keep in touch with one another. They do have a team of people monitoring the security situation in Singapore, but they have not had the opportunity to intimately work with them. 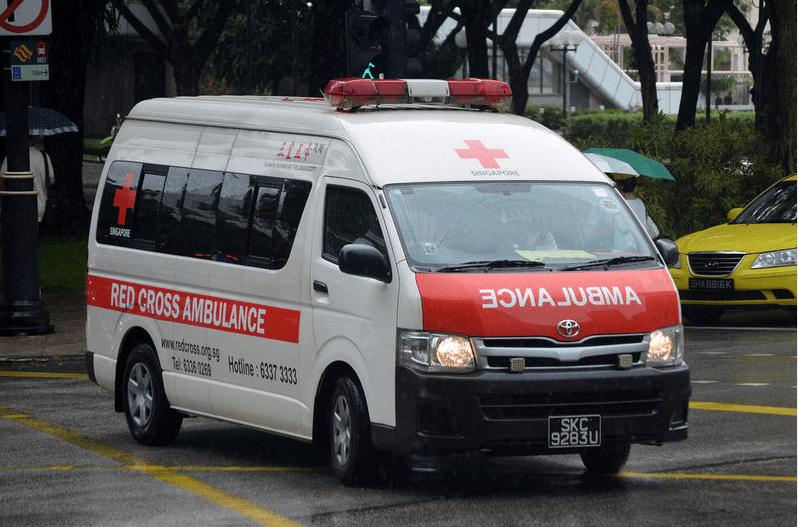 THE CASE – Earlier this year in March during a first aid duty (First Aiders On Wheels), I (along with a senior Volunteer Instructor) responded to a secondary drowning case. We weren’t able to tell the man had drowned until after the incident when we did an evaluation. I and my senior were approached by a member of the public who informed us of someone who had suddenly collapsed after getting out of the water and walking several steps. I wasn’t CPR and AEDtrained yet back then so the thought of grabbing an AED didn’t cross my mind when we rushed to the scene. Mistaken as Medics, the SFA trained a member of public immediately stopped compressions and expected us to take over. I and my senior jumped in and continued with 2-man CPR. As I gave the compressions and my senior gave the ventilation and prepared the casualty for the application of an AED, out from the crowd emerged a drunkard man of the same ethnicity as the casualty who seemed aggressive as he approached us. ( We could tell he was just about to attempt to throw a punch ). Thankfully backup from the first aid team at base arrived and together with another member of the public, the man was pacified. We applied an AED (brought to the scene by another member of the team) and no shock was advised. We continued CPR until the paramedics arrived. Following which we handed the casualty over as best we could. This incident sparked my interest in First Aid and pre-hospital care. Looking at the paramedics doing their job really impressed me. It was quite a memorable case despite the near-miss assault. ANALYSIS – Before entering the site where the incident occurred, my initial plan was to get there as quick as I could and evaluate the situation before calling for backup or request for any necessary equipment. I was caught unprepared due to my lack of qualification ( I was only Standard First Aid trained then ). Upon reaching the scene, members of the public were quick to identify us as “medical personnel” and immediately made way for us, expecting us to be able to provide better treatment to the drowned casualty. The way they handed over the casualty was anything but smooth, and so, I and my senior jumped into doing CPR following the abrupt pausing of the previous CPR cycle. Our actions were according to the plan; we did what we could in order to preserve the life of the casualty. We did 2-man CPR, with me doing the compressions and my senior handling the ventilation. 30:2. My plan was then to continue CPR until the paramedics arrived but it changed when my senior called in for an AED and I had to reposition my hands so he could place the defibrillation pads. The initial plan did not change much, but I had not been trained in an actual scenario where an AED was involved. I don’t think the incidence of violence could have been avoided as it could have been purely by chance, but if I could add a counter-measure to help handle the drunk man involved, I would have liked for an additional 2 or 3 people to tag along to provide better crowd control and identification of potential threats hidden within the crowd. I believe the root cause of the security incidence is the lack of manpower as well as the law that was only recently put in place; The Liquor Control (Supply and Consumption) Act. Under the law, drinking is banned in all public places from 10.30pm to 7 am. Retail shops are also not allowed to sell takeaway alcohol from 10.30pm to 7 am. [Quoted from Wikipedia] Therefore numerous individuals have chosen to consume alcohol during the day and sometimes in broad daylight, not that there’s anything wrong with that. Due to incidences such as these, there will likely be amendments/improvements to the Standard Operating Procedures for responders in our First Aid programme. A potential consequence deriving from this incident of violence could be the instilling of fear in potential volunteers in the future, which would hinder efforts in recruiting more personnel to assist in First Aid duty coverage. This will result in a lack of security and make access to those in need of medical assistancemore risky and tedious. Deceivingly minor, this incident involving the drunk man could have easily escalated when factors such as tensions between ethnicities are placed into consideration. A fight between two individuals has the potential to escalate into an all-out riot, as can be seen from the case of the “Little India Riot” in 2003. CONCLUSION – We followed the procedures previously briefed to us by our former leaders and took precautions to aid in the reduction of risk and danger when we were attending to the case. During the case, we did what we could and delegated manpower to help manage the crowd. Following which, we did a debrief at headquarters and put together a report in preparation should the police require it. We looked through the standard operating procedures and made amendments to how many people should assist and for which type of case. This will and has aided the teams in communication and coordination after us in their first aid coverage deployments. To summarize, me and my team have learned the importance of being prepared, the importance of communication and coordination as well as the importance of educating the public and ensuring a high level of competency in all Standard First Aid trained personnel. I hope to share this case study with people who have faced a similar context as I have so that they will know how to better prepare themselves for it should the same situation arise again. *National Disaster Response Team (NDRT) is a training programme that prepares volunteers for deployment in response to local incidents and overseas missions. Roles include responders who are trained in first aid, healthcare, psychosocial support (PSP), restoring family links (RFL) and operations.